I just had to tell you how I spent my Saturday evening. The picture above is from Google – I didn’t take a picture of my dish, sorry, it didn’t last long enough. 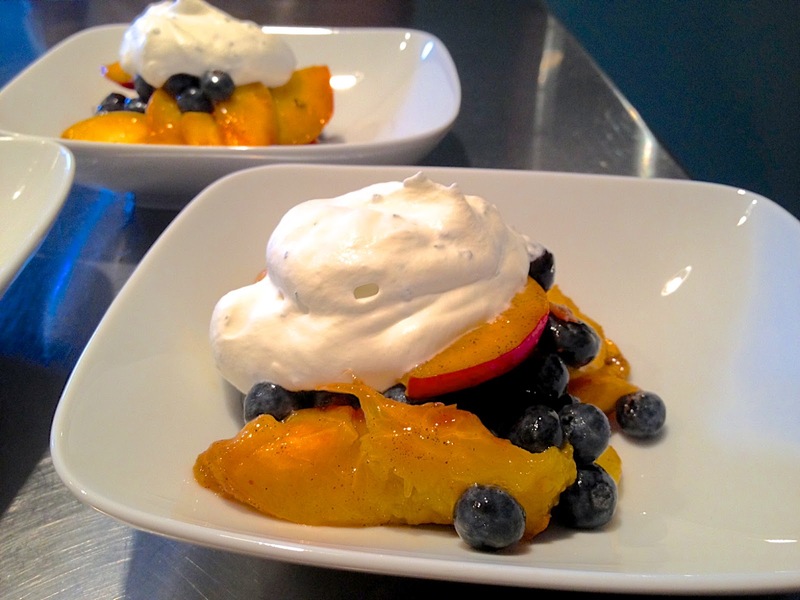 So I am making myself some fresh sliced peaches and blueberries to eat and decide to put some whipped cream on top …just a dab 😉 . 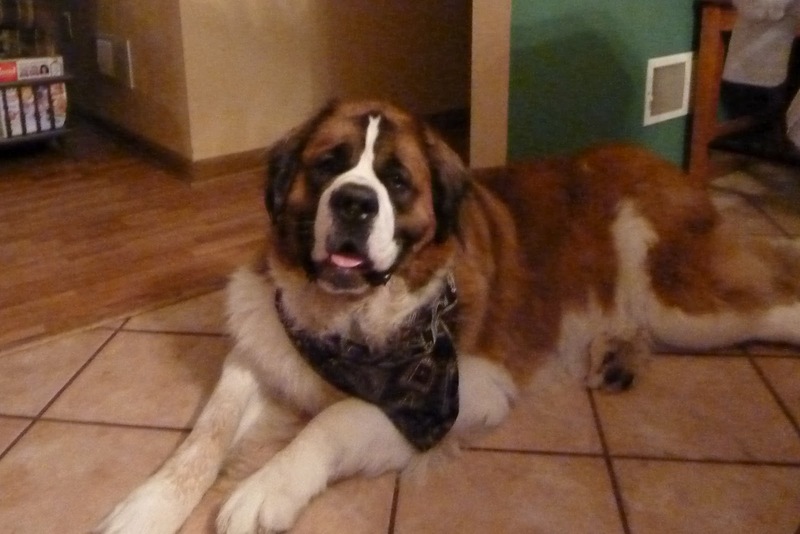 My St. Bernard, Marcy, gets all excited when she sees food and was jumping around, doing a dance, breathing heavy, and making crazy sounds. She is not Cujo – she just loves food! So I squirted some whipped cream on my fruit and then s-l-o-w-l-y turned around, pointing it at Marcy. She opened her mouth wide and I squirted whipped cream right in her mouth (great aim!) and she slurped it right down. Now she won’t leave me alone! She wants more whipped cream. I tested her so that I would be sure it was the whipped cream that she liked. I took out the whipped cream from the frig again – whoa and behold – Marcy opened her mouth wide (and that is a big mouth!). So I squirted her again and guess what – she slurped it down again and then was looking for more. Yep! That is the highlight of my Saturday night! How was your Saturday night?